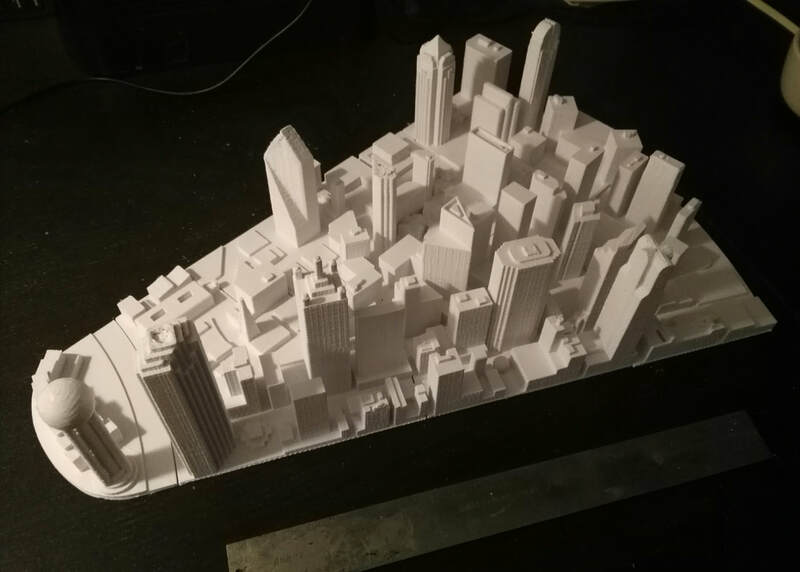 I've continued work on my Charlotte, NC city model and now have about 60 hours into it. I have 10 buildings done and I made this 3 minute video in SketchUp to show the progress. Although my camera skills could use some work, you get an idea of how things are shaping up. I've still got some work to do on the top of the Bank Of America building. ​The goofy little cylinder I have on top is just a place holder until I can figure out the detail. I borrowed a couple of cars from the SketchUp warehouse because they look kinda cool. A friend of mine wanted me to print him a Kylo Ren mask that he found online. IT was designed by an engineer, Luke Daley, and the .stl files can be found here at My Mini Factory. The problem I had was that I couldn't generate the GCode for such a complex file using Slic3r, my default open source slicing program. I've been using Slic3r for three years and have never had any trouble with it. I like the simplicity and the features, so, until now, I had no reason to use any other slicing program. 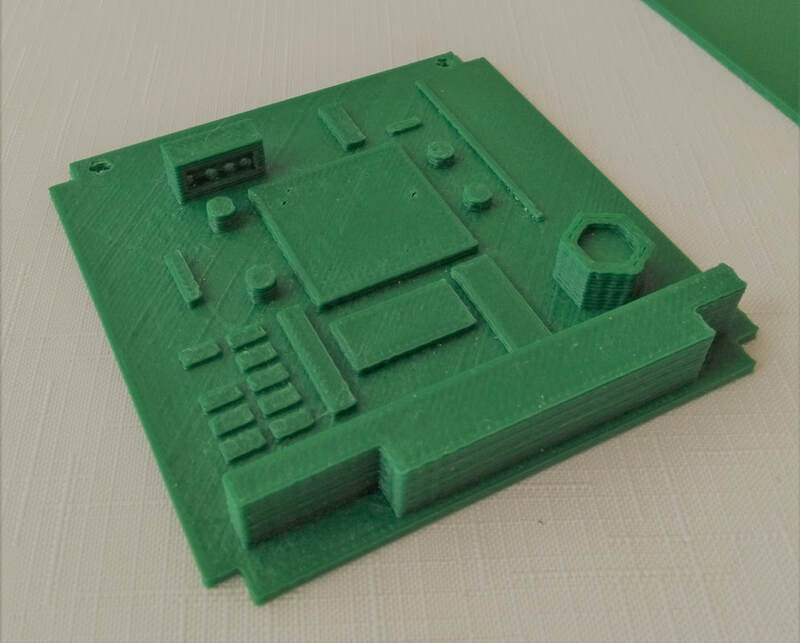 I'd read quite a bit about Cura, and have been wanting to try it out for quite a while, but I just never had time to mess with it. Let me just say that I love Cura. I've been using it for a few months now, and the more I use it, the more I wonder why it took me so long to come around to it.. Starting out was not all sunshine and roses. First of all, none of my printers are popular commercial off the shelf printers. Although my Airwolf3D v5.5 was commercially available, it isn't popular enough to have the configuration files readily available for the slicers. My other two printers are custom builds, and so their configurations are also not publicly known. The frist hurdle I had to overcome is that Cura couldn't understand where my print bed center was. With Slic3r v1.0, you can enter not only the bed size in the printer settings, but there is also a 'Print Center' value that you can also enter. This enables the Slicer to account for the extruder home position to be somewhere outside the print bed. Cura does not have any such setting, so I just couldn't get the prints to consistently stay within the confines of the bed. I searched and searched but couldn't find anyone who had a simple solution to this problem. I wound up working around the problem by redefining the print bed size in the machine settings so that it was original bed size plus 2X the distance that my extruder home position was from X0 and Y0 (near left corner of the print bed). This worked OK, but I had to be really careful when arranging parts in Cura to not exceed the actual bed area. After a couple of months of this, it got really annoying, so I started searching online again for a solution. 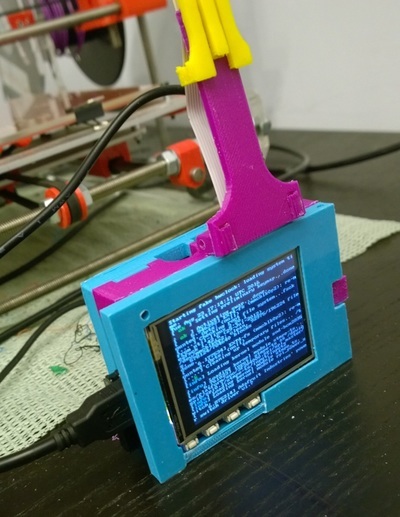 I stumbled on this solution on the Ultimaker Community website. To sum it up, you add a couple of lines to the start-gcode that moves the extruder to the front left corner of the print bed, then send a command that defines this is the new X,Y home position. Cura is a really nice piece of software. 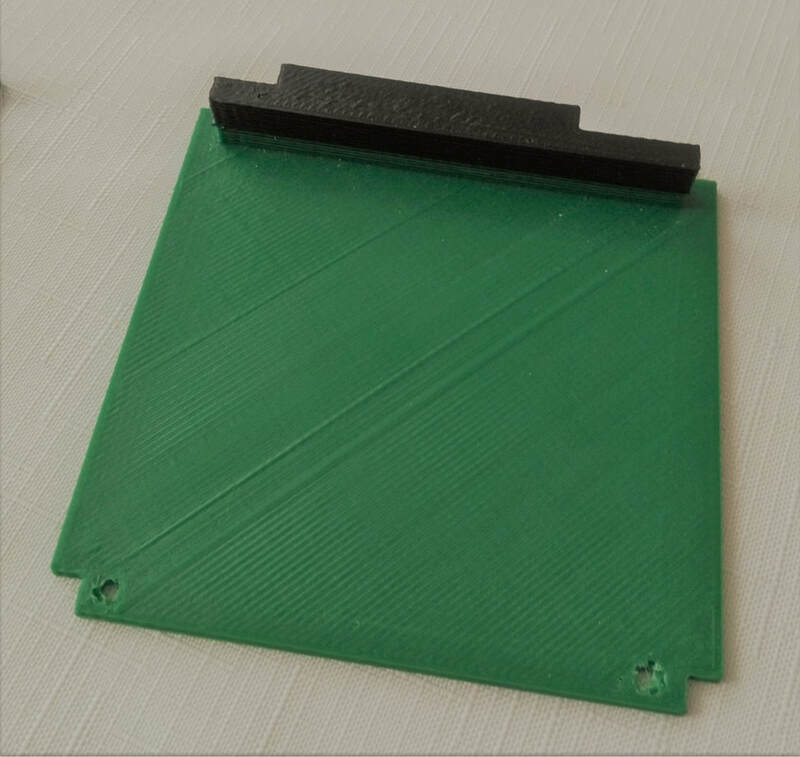 A couple of things I love about it are the control you have over support material, because you can have greater or lesser adhesion with the part depending on your needs. I also like the "Cut off object bottom" that lets you essentially sink the part below the bed surface so that you can start your print with a greater surface area if necessary. The visual representation of your part on the bed is really nice. And I like how it calculates build time and media consumption right on the screen. 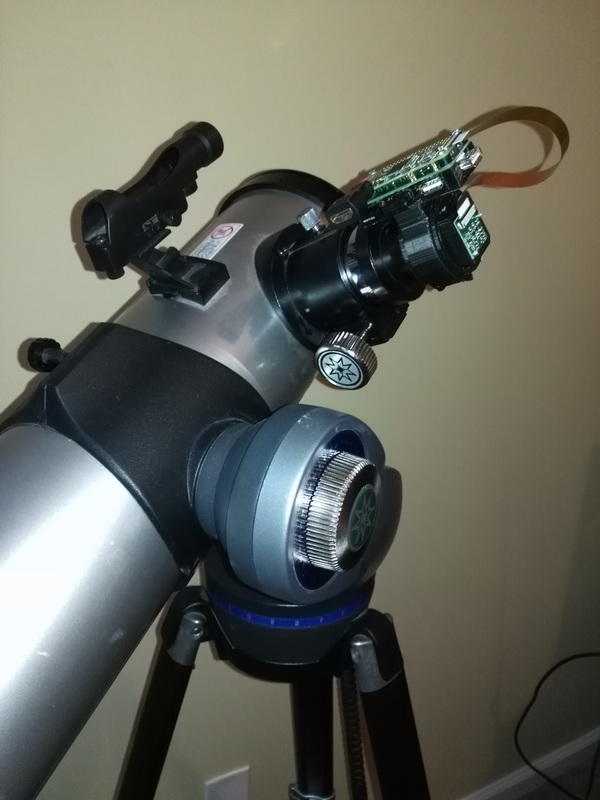 A couple of years ago I created a universal adapter that lets you mount any mobile phone to a telescope. Using that device, I connected my 41 Megapixel Nokia Lumia 1020 to an Orion Starblast reflector telescope and took some really spectacular shots of the moon and Jupiter. The cost of all that equipment was around $800. ​I wondered what I could do with a $5 Raspberry Pi Zero, a $15 Pi Camera, a $10 USB shield, and a discarded (as in free) old Tasco 45X refractor telescope. I already had the other computing components, keyboard, mouse, HDMI monitor, and wireless NIC, so I am not counting the cost of those parts. Add the cost of ABS media at $2 and we'll call this a $32 project. Below is the picture I got. It was much better than I expected. Read on below the picture to see how to do it. The camera mount is made up of a split ring that can be sized to the barrel of the eyepiece, a ring that slips over the split rings, and a plate, which sits inside the ring, holds the Pi camera. 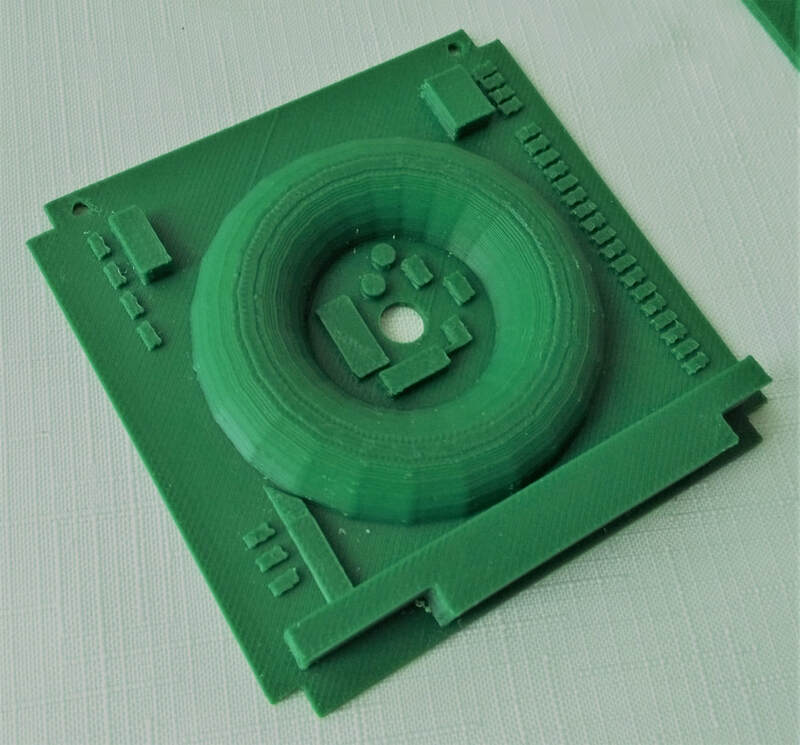 I designed this in multiple parts for two reasons: primarily, I don't want to print support material; and I want to be able to use telescopes with different sized eyepieces. I avoid support because it is messy and can be a pain in the rear to remove. The computer bracket is a plate, some spacers, and a ring that clips on to the camera ring. I glued the plate onto the ring with a bit of acetone. The Pi Zero is running a plain jane distribution of Raspbian Jessie. I wrote a python script that allows me to preview, make some exposure adjustments, choose between images or video, and trigger the camera using the keyboard. 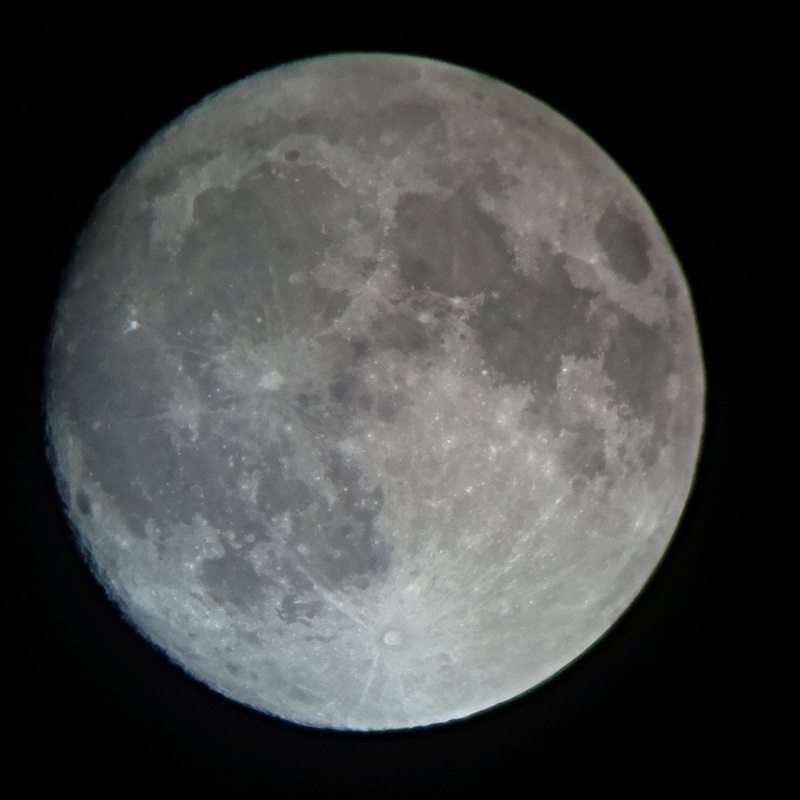 Having the ability to trigger the camera without touching the telescope is a HUGE benefit because the settling time for the scope is often 15 - 20 seconds. This is a work in progress. I will post the project on GitHub. Ultimately I'd like to run this through a web interface so I can get rid of the monitor and keyboard. After installing the Adafruit PiTFT display to my Raspberry-Pi, I wanted to use the buttons on the panel. I searched high and low for examples of this, but couldn't find what I was looking for. Ultimately I want to use one switch to port the display back and forth between the HDMI monitor and the TFT display and another switch to switch the wireless from a LAN configuration to an ad-hoc configuration. I found a nice article that teaches the basics of using switches connected to the GPIO header here. 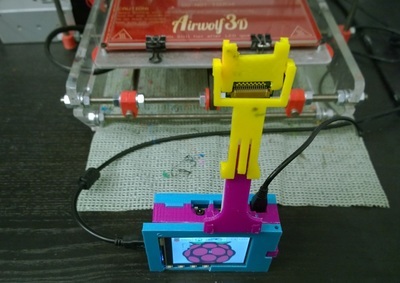 https://www.cl.cam.ac.uk/projects/raspberrypi/tutorials/robot/buttons_and_switches/ This was really helpful in developing the script I wound up building. I'm still having trouble figuring out how to call the framebuffer and network using a script, so I chose to takle something a little simpler, just to prove the concept of using the buttons to execute Pi commands. The TFT has a backlight that can be turned on and off, and there's a program called OctoPiPanel that can pretty easily be called by a script, so these are what I chose to control. I programmed the third switch to simply output a line of text to the terminal indicating that the switch had been pressed and what state the toggle was in. I found a reference at https://github.com/jonaslorander/OctoPiPanel that showed me how to run OctoPiPanel. Once I had it installed I had to get the Octoprint API key and copy it to the OctoPiPanel.cfg file. Then I had to make OctoPiPanel executable. From that point, I can launch OctoPiPanel from a command line which I will later tie to one of the switches. 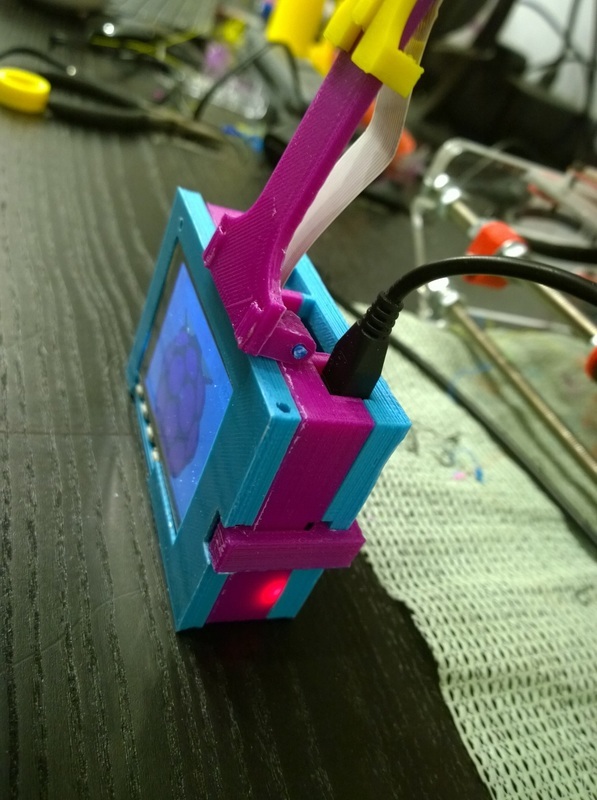 The next step was to create a python script that monitors the buttons. it uses RPi.GPIO to map the switches. I added some logic to create a two state state engine, so I can essentially treat each switch as an on-off switch even though they are only momentary. I mapped one switch to start and stop OctoPiPanel and another switch to toggle the LCD backlight. Finally, I modified the startup script /etc/rc.local to call my monitoring script. Now I can toggle the backlight and run OctoPiPanel at the press of a button. I've said goodbye to Kapton tape after having used on my heated printbeds for the last 3 years. I have to admit, it works really well for keeping ABS parts stuck to the bed, but it isn't cheap and after a while it tears or buckles. These tears and buckles cause the surface to look crappy. I peeled off the tape on X3REX, my modified Prusa i3, then coated the glass with ABS dissolved in acetone. I set the bed temp to 100 C, put an enclosure around the printer, and added a 4mm brim to the slicing profile. The results were great. The bottom surface was really clean and smooth, no warping, and once the bed cooled, the parts just fell off the glass. With Kapton tape, I usually had to pry the parts off which can damage parts or hands trying to do the prying. I also peeled the tape off of my Airwolf3D v5.5 and had good results there too. 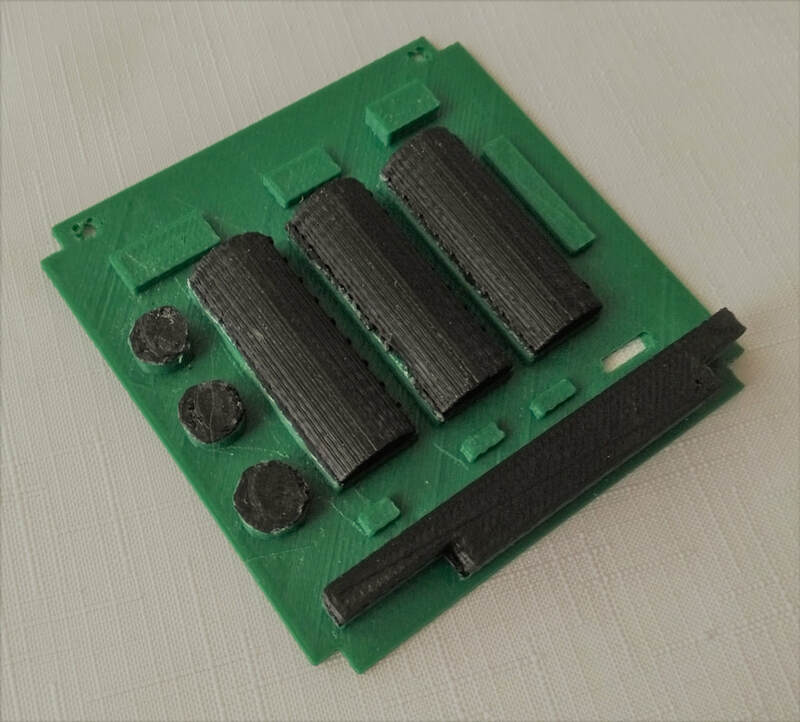 The parts I printed were of uniform thickness, so I may be jumping to conclusions about the effectiveness of this method, as parts with varying thickness have more of a tendency to warp. I'll let you know if things change. Kapton tape works great, and I think it's especially helpful when you first get into printing since you have less warping to deal with. But once you get the basics down, I believe you can do without this expensive consumable.